Broadband Over Powelines or BPL is one of the newer mode of transmitting communication data or signals. As the name imply, it combined the infrastructure of high voltage transmission or distribution system, with that of the communication system. Broadband Over Power line's selling point idea really is to enable to distribution broadband, or high speed internet access in the same way or rate (of reach not cost) as that of distribution of power. Since there are more existing electric infrastructure installed (poles, wire, cables) than communication, it is hoped that if broadband will be delivered through these power lines, more customers or users will be reached. This is more evident in rural areas wherein telecoms don't usually invest as much, compared to highly urbanized places. How Broadband Over PowerLines (BPL) Works? The primary infrastructure that will serve as carrying medium for BPL are designed for power lines, or high voltage conductors. It is important to know how would it be possible. In a typical broadband (DSL Lines for example), the fiber optics line is split into number of channels. These different channels would carry different signal types such as voice, video , internet functions (downloading/ uploading). They are separated as they use different frequencies for its purpose. This is done with via Electronic filters separate the two kinds of signal, with the low frequencies going to your telephone and the higher frequencies to your Internet modem. BPL works just the same way, albeit the high voltage lines. It works with the same principle as sending broadband over a phone line, that it to send data through the power lines, but at different frequencies. These different in frequencies are then harmonized by modems before signals are utilized as data packets. Due also to this difference in frequencies, broadband signals and electricity will not interfere. Power lines and direct connection to the computer at the initial impression does not really go together. The question arise as how to connect the power lines to your computer cpu would arise as usual. Just like the distribution of electricity, the distribution voltage will be stepped down to its utilization voltage through the distribution transformers. Though the voltages are transformed, the frequency and data transmitted stays the same. After the voltage is set to its utilization value, this will go to your power terminals or socket. The idea is to use that same power sockets in houses, but slightly modified to suit the needs. 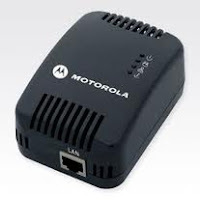 Then connect a wire from the socket to a modem (that probably needs 240 Volts or whatever utilization voltage) and down to your network card in the CPU or router. Then everything is set. In your home, you need to have slightly modified power outlets with an extra computer socket before plugging into the modem. Broadband Over Power Lines at present is still being continuously studies to achieve efficient, safe, and optimum utilization. More post related to Broadband Over Power Lines in the coming days. Including projects of its nature.